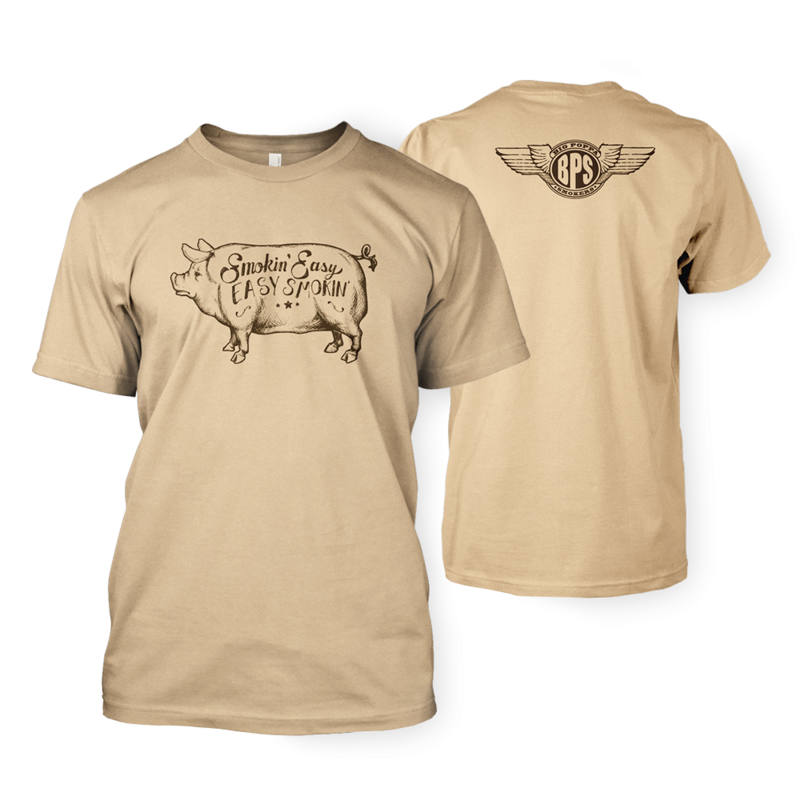 This BPS barbecue t-shirt features one of the most delicious animals of them all: The Pig. The pig featured on the front has "Smokin' Easy, Easy Smokin'," printed inside of it. The backside features the BPS wing logo to tie together the stylish look. Featuring a classic and old-fashioned design; this shirt is truly one of a kind. You can only get it here at Big Poppa Smokers! All of our BBQ t-shirts are only $8.99 - stock up and show everyone on the block how much of a BBQ die-hard you are.